LEATHER : High Quality Faux Leather . COLOR : Black Base - Metallic Green Fringes. MEASUREMENT : Waist 22in.To 27in. (Adj.) Outseam 25in. without Fringes, Lower Fringes 3 inches . COLOR: Black with Metallic Green. OUTER MATERIAL: High Quality Faux Leather. CHEST: 32in. to 36in. (Adj). This is one of the most reliable, versatile and affordable protective vest in the market today. It combines utmost comfort and fit with excellent shock absorption and impact protection.This vest has some of the most unique features that are rarely found in some of the comparable top brands too. The vest is made to fit a little snugly but not too tight. 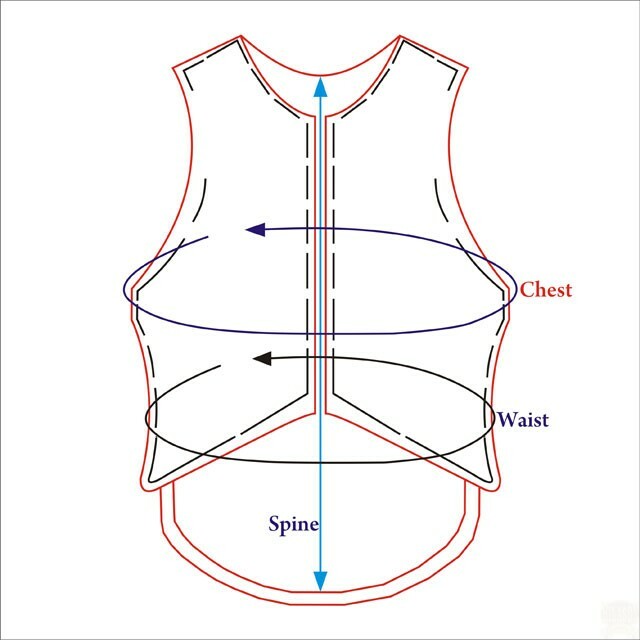 The Chest is measured around the widest point, just Below the armpits for a snug fit. 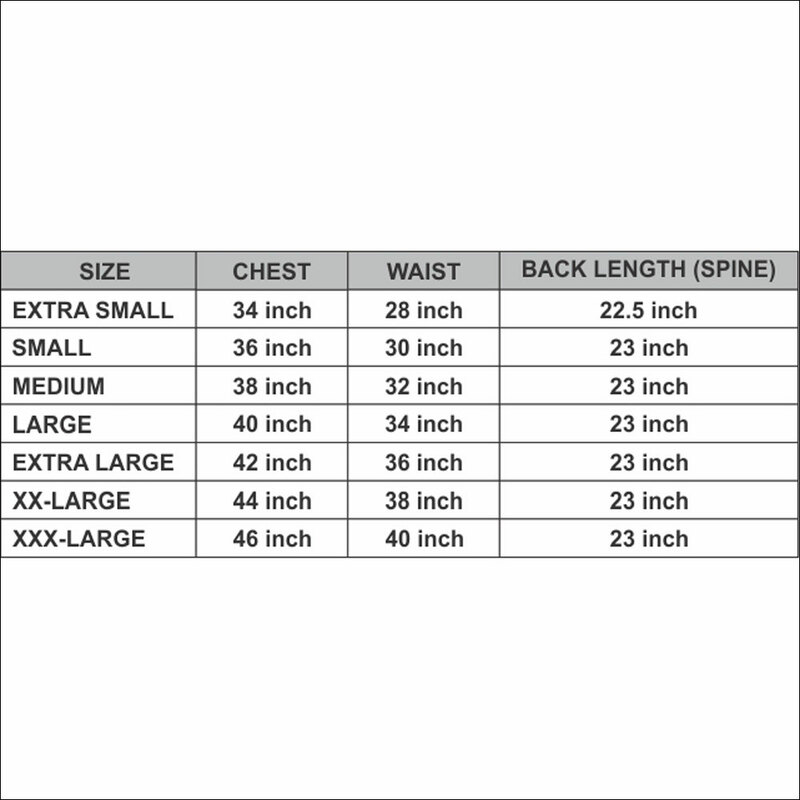 The Waist is measured just above the hips. For the Spine, start from the little bump at the back of the neck down to the tailbone, along the contours of the spine. If your measurements fall between sizes, the best fit is usually with the higher size. For best results, sit on a chair or saddle while measuring. Try to make sure there is about 1.5"" to 2"" space between the saddle or chair and the vest to avoid restriction while riding. Due to the fact that a snug fit is recommended, the side laces has to be loosened before zipping up. This ensures the zipper is inserted properly.This process increases the life of the vest.